Heather had Colon Cancer that later spread to her lungs and brain. 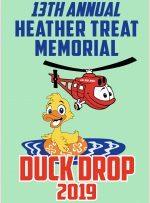 And, while Heather had great insurance, the little things that were not covered by insurance, such as the costs of gas, hotels, bills piling from lack of work and everyday costs of life increasingly became a great burden. 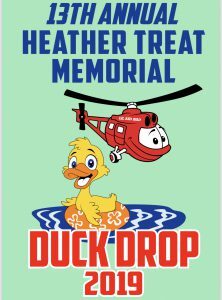 So many great friends and family helped Heather and her husband during this time that upon her passing the donations continued. After Heather’s death we decided, along with some friends, to start the Memorial Fund to help others who have cancer in Johnson County. With this, the idea has spread. Now at least two other local counties are doing the same. There is another popular Cancer Fund that has followed our idea, but they only help with medical bills. We are so very fortunate that so many have donated to the fund to help those who need a little gift of love. 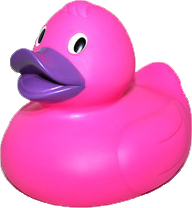 Our biggest fund raising efforts arrive each year with our Duck Race, so you can see why this fundraiser is so important. We are a 501C and do not receive any funds from any cancer society or organization.